Because we’ve been crafting for so many years, we’re sure it’ll come as no surprise that we’ve dabbled in countless different techniques and skill types over the years! This is something we really appreciate because it means we’ve tried out all kinds of varied things, letting us get a taste for which ones we enjoy the most and feel like we could be very good at indeed. For example, one of the things we’ve always loved doing the most, out of just about any kind of craft on earth, is watercolour painting! Now, classic, typical watercolour painting itself is absolutely something we have always enjoyed and probably always will, but did you know that there are actually all kinds of watercolour based DIY projects you can make that put an interesting spin on that basic concept? We only recently discovered just how many different ways you really can use your watercolour skills to make awesomely creative effects of all kinds! Just in case you love watercolour painting and techniques just as much as we do, if not more, here are 15 of the most creative designs, ideas, and tutorials to get you painting or paying tribute to the painted aesthetic you love so much. If you’ve never tried any kind of tape resist craft before then we’re sorry to tell you that you have been missing out! This is another area of DIY that you can do in all different ways to create all kinds of different effects. That’s why we were so pleased to see this awesome combination of tape resist art and watercolour painting in one place! Check out how Gift of Curiosity created this simple canvas piece using all kinds of colours in a coordinated blocking effect. Are you actually looking for a watercolour based craft that will help you introduce your art loving kids to the effect and colour washing technique that you love so much, but you’re just not sure they’re ready to handle the delicate water and painting balance involved in actual watercolour painting? 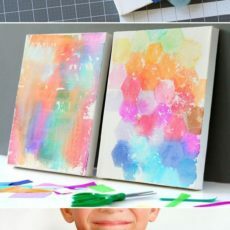 Then we have a feeling you might get along better with this tissue paper wetting technique that mimics the effects of watercolour painting by printing colour through onto a canvas! Get the full details on how to make it happen on Fiskars. 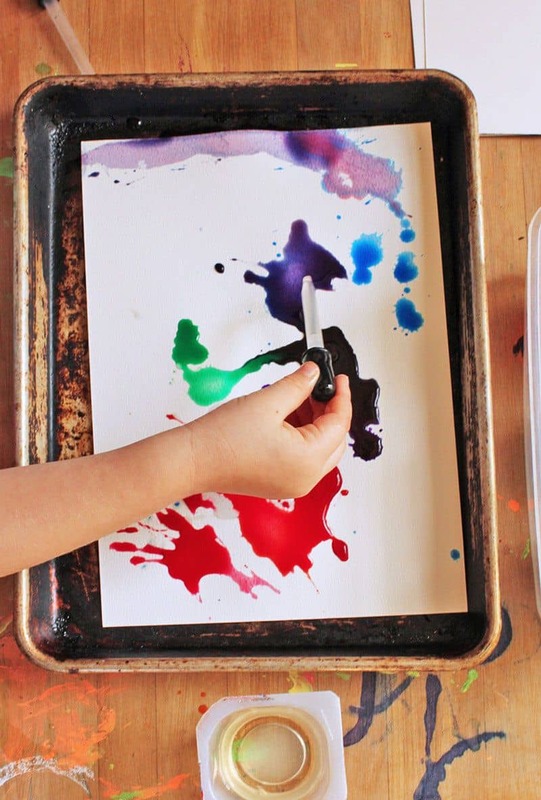 If you’re going to craft with watercolours in a way that your kids can learn with, then we’d definitely suggest doing a project that they can get messy with, since watercolours can be a little bit difficult to control for young learners. That’s why we loved this totally wild looking and super fun self portrait idea outlined step by step on Guidecentral! 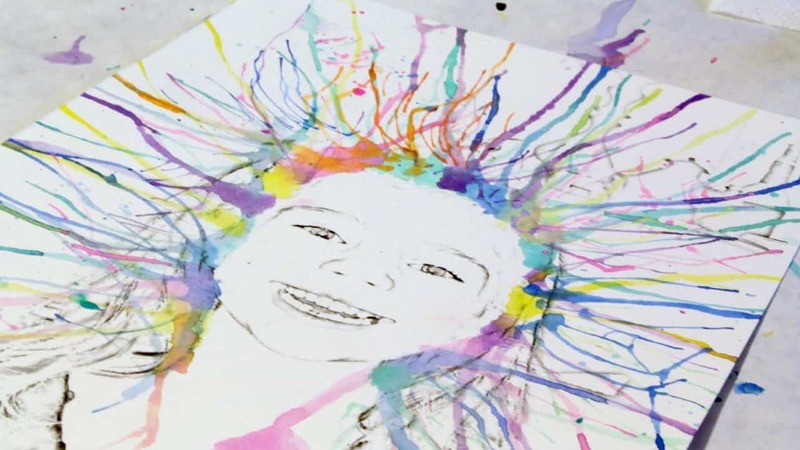 They show you how to mimic your own image onto a page or canvas and then suggest letting watercolour paints drip as they please from the outline of the image’s head outward through the hair for a cool looking rainbow effect. 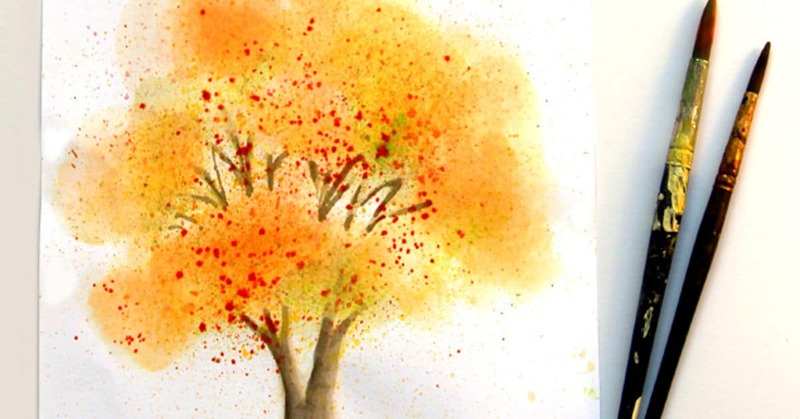 Are you still very interested indeed in the idea of doing a watercolour craft that has a little something extra to it, because you or your kids are already quite familiar with the process of making watercolour paintings and you’re looking for a bit of a challenge or something with a little extra twist? 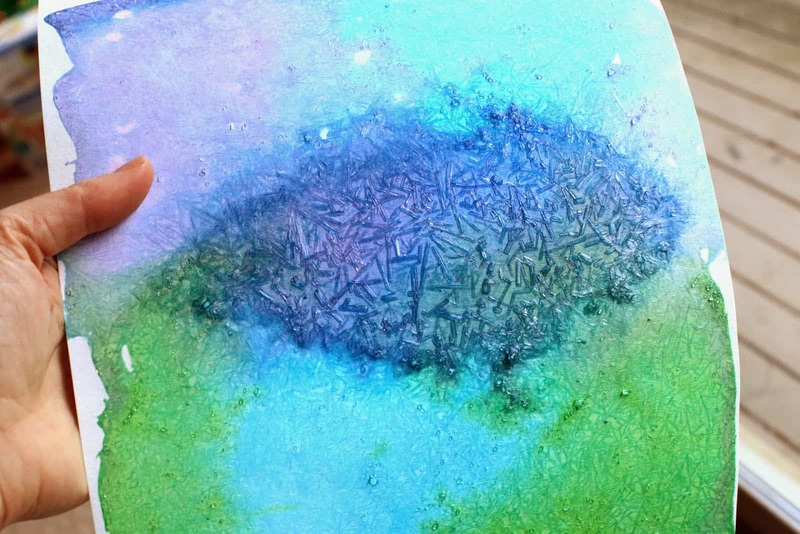 Then we’d definitely suggest taking a look at how Fun at Home With Kids created this stunning crystallized watercolour art in just a few simple steps. Were you very interested indeed in the idea of creating resist art but you’ve done the tape method with your kids many times already and you can’t help but wonder whether there are other fun, creative ways to create that resist effect? Well, you’d be absolutely correct! 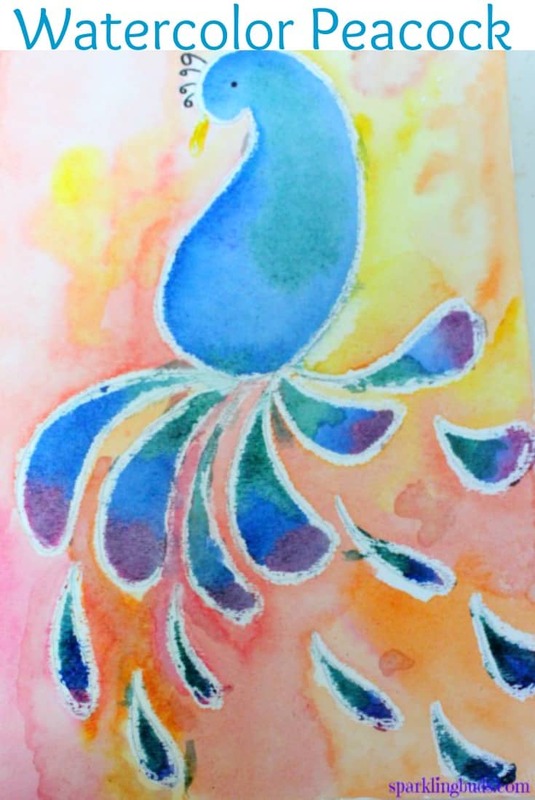 Take a better look at this tutorial from Artful Parent to see how they created an awesome, raised design in white glue, letting it dry before adding all kinds of bright personality in the form of watercolours. Are we really catching your attention with these mixed technique crafting ideas where you use more than one kind of tool or skill in one place to get a particular effect or combined aesthetic but you just haven’t quite found yourself convinced by any of the ideas you’ve seen so far? Then here’s another alternative for you! We love the way The Pinterested Parent created a scene by doing some simple chalk drawing on thick art paper, adding a watercolour effect as a sort of after thought by wetting their paintbrush and using the chalk itself as a sort of watercolour paint. Were you very interested indeed in the way that the white glue resistant painting craft let you create all kinds of swirly patternst hat the tape resistant technique won’t let you do because of it’s straight nature, but you’d actually prefer not to have the raised effect that using that particular type of school glue results in? Then we think you might prefer the way this similar technique that uses clear, flat drying rubber cement instead looks! 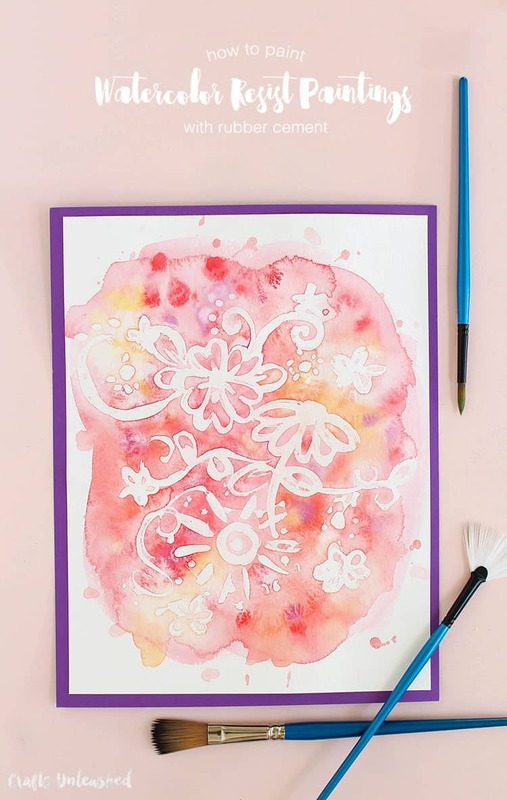 Consumer Crafts walks you step by step through how they made this beautifully swirly looking watercoloured flower art. Just in case you’re still totally enamoured with the sheer number of ways that you can create watercolour resistance art and you’re looking for even more techniques and fun ways to make it happen? Then we have a feeling you’ll be quite interested indeed in the way Sparkling Buds created their cute little peacock design with white wax crayons, painting in and around those waxy lines to add colour. Try recreating their peacock design or using your crayons to draw a picture of your own imagining! Are you actually quite experienced in the art of watercolour painting but you still feel like you could use some practice in simple projects, or at least some simple inspiration for nice things to create and share with your loved ones? 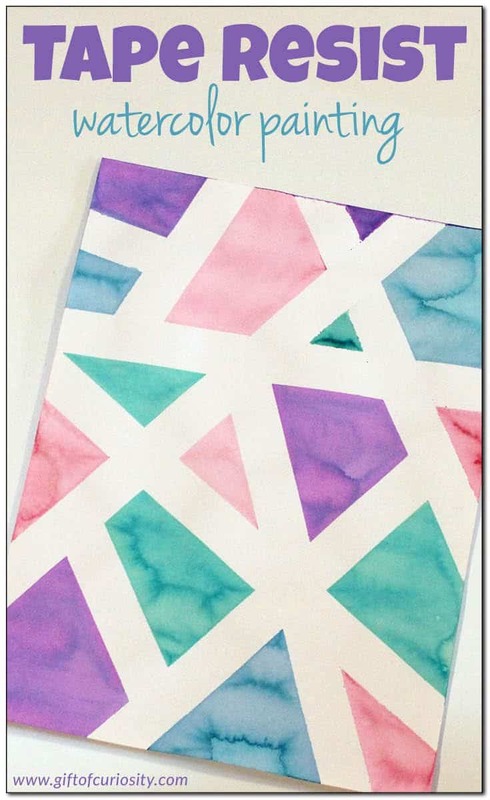 Then we have a feeling you’re going to love the way Wandeleur outlines a pretty, colour fading way to create homemade party invites and greeting cards using your watercolour paints. 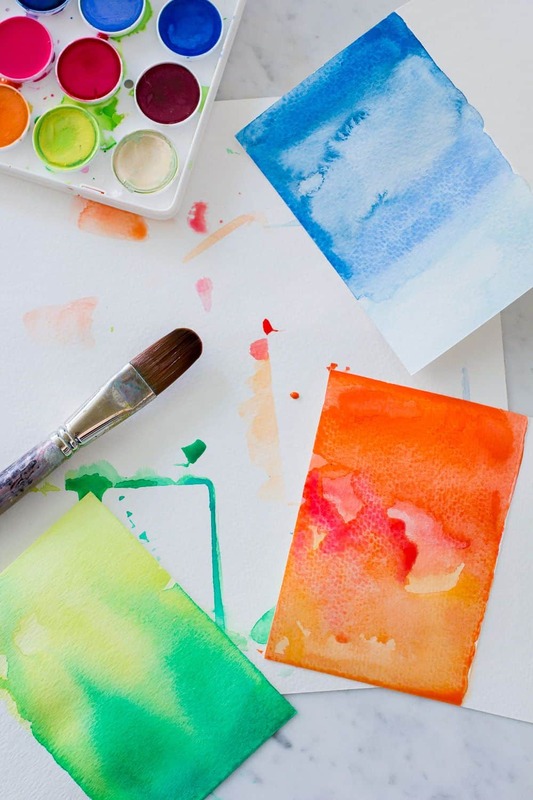 Did we really catch your attention when we started talking about little water colour inspired projects that are kid friendly but they’re still very little and you’re not sure even the tissue paper canvas idea we showed you earlier is quite the best choice for them? 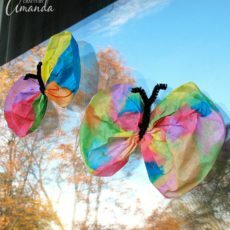 In that case, we’d definitely suggest taking a look at how Crafts By Amanda created these adorable tie-dyed looking water colour butterflies made from coffee filters, which are very absorbent. Are you perhaps a little more experienced with water colour painting and you’ve actually just been scrolling through our list hoping to find a tutorial that will challenge your skills a little bit and guide you through the process of making an image that really gets you working on your colour fades and details? 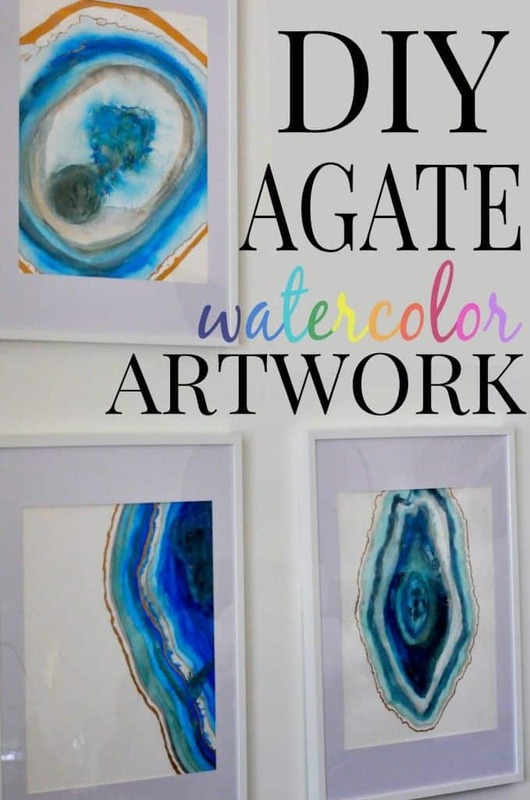 Then we have a feeling you just might be the perfect person to try your hand at creating these beautiful watercolour agate portraits outlined nice and clearly on Homesthetics! 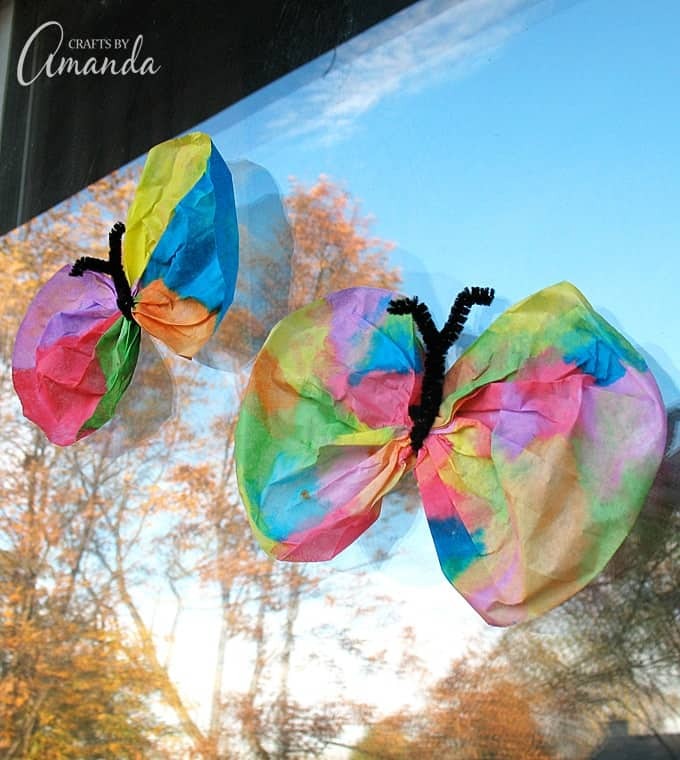 If you’re going to make a DIY project with your kids that’s as messy and fun as watercolour painting, meaning it probably requires a bit of a learning curve for them anyways, would you rather fully transform that “crafternoon” into a learning opportunity overall? Then we’d definitely suggest taking a look at how Hello Wonderful took their watercolour painting afternoon as a chance to teach their kids about what happens when you try to mix oil and water. They’ll love the way the technique of using oil in a dropper splashes the water colour paints on their page around in all kinds of cool patterns. Have you often looked at your watercolour art and wondered about whether there are ways out there for you to add a little more texture than your regular brushes allow for? 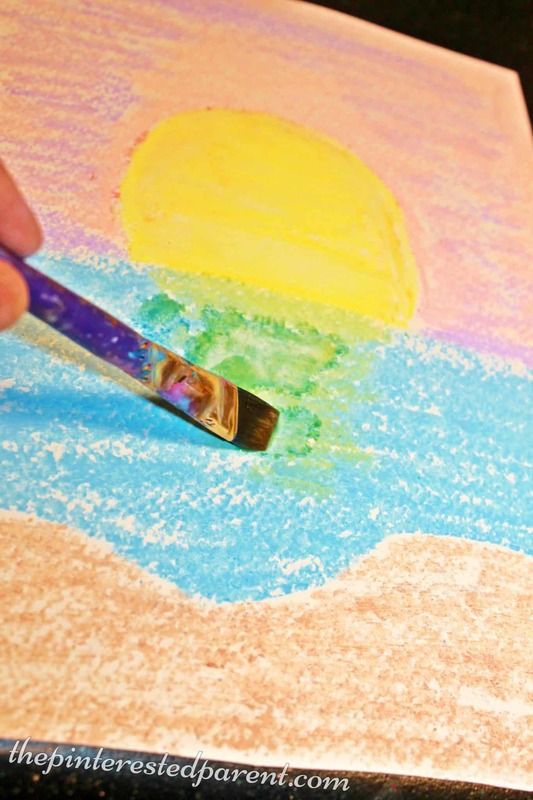 Then we think perhaps this fantastic toothbrush watercolour painting technique outlined step by step on Hometalk might be right up your alley! Check out how they added delicate speckles and droplets by using flicking and stippling techniques on a toothbrush, which makes for easier bristle flicking than the average paintbrush thanks to its different shape. 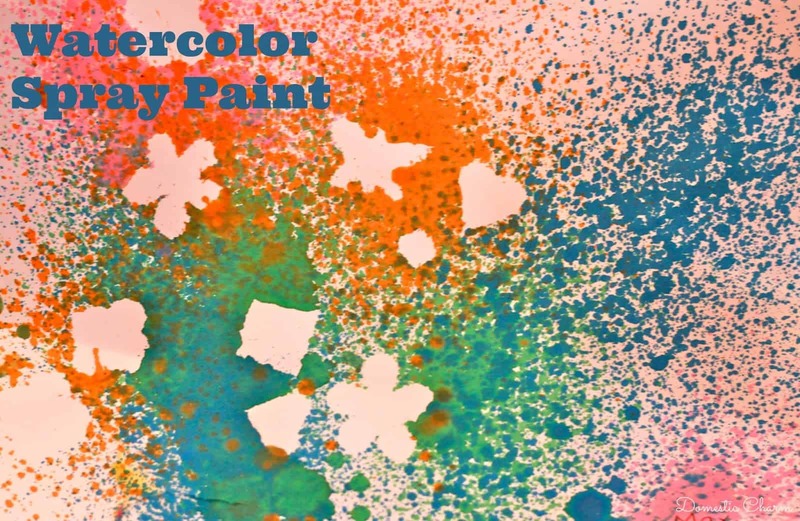 Have we really peaked your interest in talking about the flicking techniques that you can do with watercolour paints and a toothbrush but, rather than being interested in that kind of delicate project for yourself, you’re thinking about how much your kids would adore the chance to make art by flicking watercolour paints around? 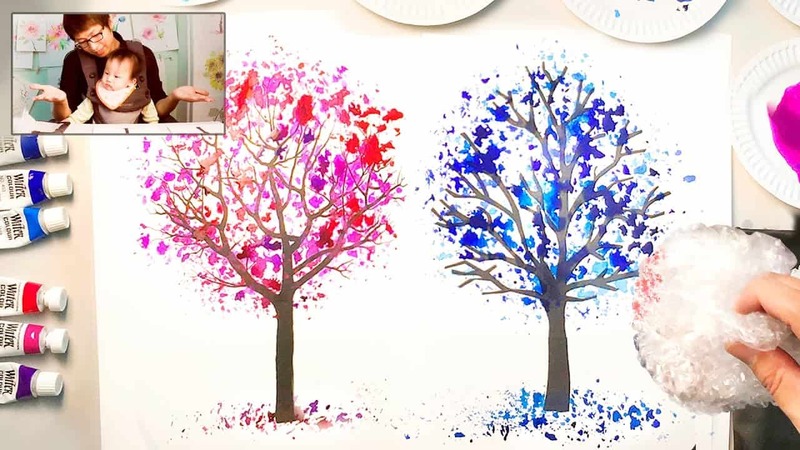 Then we’d definitely encourage you to take a look at how Domestic Charm made this fantastic spray paint inspired art with their kids by doing just that! We love the way they laid down stickers and paper cut-outs, lifting them after the paint has dried to leave start white negative space shapes amidst the paint speckles. 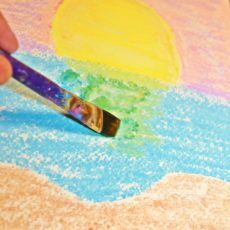 Have your very favourite painting techniques and unique twists on painting crafts always been the ones where you try your favourite paints out using a different tool than you normally would? In that case, we have a feeling you’re going to get along very well indeed with the way Jay’s Painting & Charlie’s Vlog suggest using bubble wrap to create awesomely printed water colour texture! They’ve chosen to make trees here but, with a little imagination, you can use your bubble wrap to round out all kinds of images. Have you made other fantastic watercolour based or watercolour inspired crafts that you absolutely loved creating but that you don’t see any techniques quite similar to on our list? Tell us all about how you did in the comments section or link us to photos of your finished work! 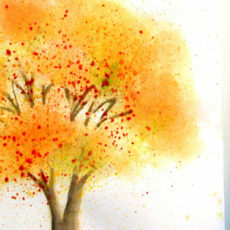 The post 15 Crafts and DIY Projects Inspired by Watercolour Paints appeared first on DIYs.com.